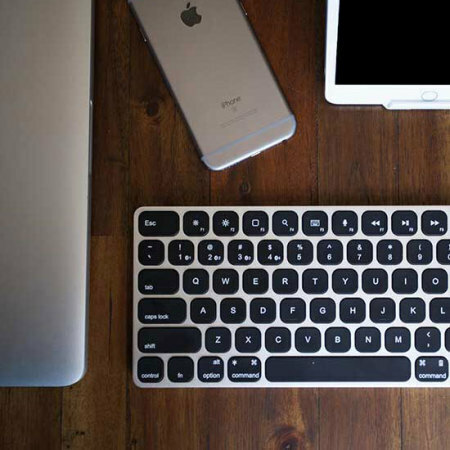 This sleek, slim keyboard from Kanex features ultra-high grade backlit keys and full iOS & macOS shortcuts for an accurate, ergonomic typing experience. Connect to up to 4 devices simultaneously via Bluetooth and switch between them on the fly. Not everyone is a wizard with their iPhone or iPad's virtual keyboard. When you need a physical typing experience, only a physical QWERTY keyboard will do, and you need something that doesn't take up too much space. Enter the Kanex MultiSync. Sporting a premium build and boasting a rich, tactile physical typing experience, the MultiSync is the only keyboard you'll need on business trips, holidays or just for blogging in the comfort of your own home. 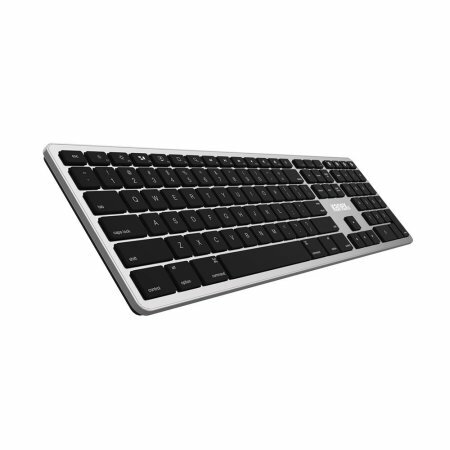 See exactly what you're typing at all times with the MultiSync's backlit keys. Bright yet free of eye strain, the backlight on the MultiSync will enable you to type in even the darkest environment - perfect for night owls and those last-minute all-nighter rushes. 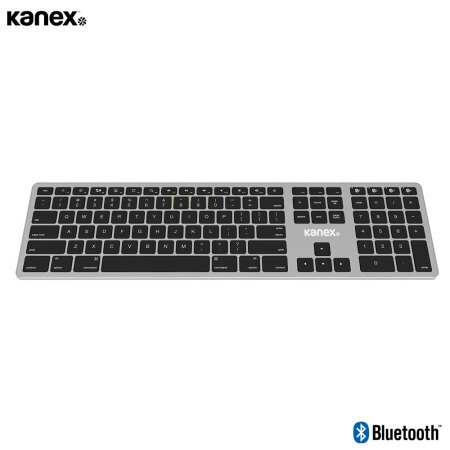 If you're used to having all your Mac, iPhone and iPad shortcuts handy, don't worry - the Kanex MultiSync features all the standard Mac & iOS shortcuts built in to the keyboard itself, so you can continue to adjust brightness, control playback and more with just the touch of a key. You'll never need to worry about your MultiSync being damaged in a backpack, or sustaining damage in transit. That's because of a superior sturdy build which emphasises hardy resilience. The battery included in the MultiSync provides up to 6 months' typing time on a full charge, so you can forget about the battery while you work on your project. 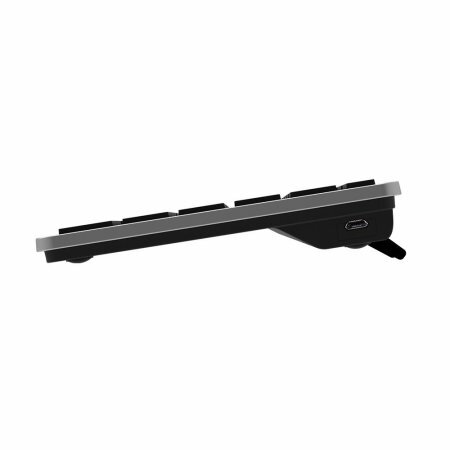 When the keyboard eventually does run down, simply connect the included cable to a powered USB source and within no time at all, you'll be ready to go again.